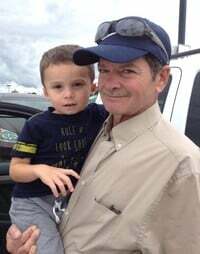 Obituary of Robert J. Barco Robert J. Barco Unexpectedly on April 13, 2019 at age 63. Predeceased by his parents William & Anne Barco and his brother Billy Barco. Survived by his children Barrett J. Barco of Las Vegas & Brennan G. Barco of Las Vegas; 1 grandson, Greyson J. Barco; brothers John (Sandy Pinzon)Barco & Michael Barco of Florida; mother of his children, Karen Narrod and many nieces, nephews, cousins and friends. Calling hours Tuesday 04/16/19 4-8pm at Falvo Funeral Home, 1395 N. Goodman St. Please meet the family Wednesday 9:30am at Peace of Christ Parish@ St. Ambrose Church (25 Empire Blvd.) Interment White Haven Memorial Park. Our most sincere sympathies to the family and friends of Robert J Barco 2019.